:: Anarcho-Capitalist Non-Miscellaneous :: Celebrate Evildoers' Inadvertent Contributions to AnCaps' Values! COLUMBUS, Ohio – Gov. 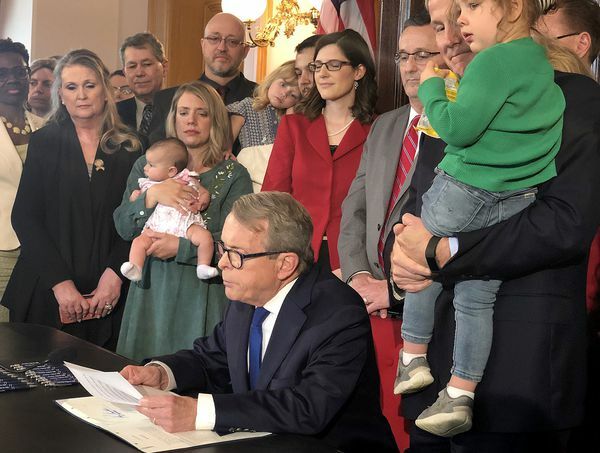 Mike DeWine signed the “heartbeat” abortion ban Thursday, which will prohibit an abortion after a fetal heartbeat is detected. Ohio will become the sixth state where governors have signed such restrictive laws. DeWine, a Republican, is making good on a campaign promise to sign a heartbeat bill – which effectively bans abortions after six weeks, before many women know they’re pregnant.